Long Range Systems UK Ltd has been working with customers in the UK and helping with communication systems since back in 1989, but in 2001 we made our last website, so you could say it was an old one! However, the site served us well until September 2018 when as you see we updated and streamlined the contents thanks to Google and their auspicious shenanigans when it comes down to them telling companies what to do just to be listed. No problem... here is our new updated website and with full mobile phone compatibility, so we sincerely hope you like the new look. 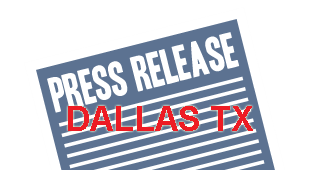 Find out all the latest press releases from LRS Dallas HQ by clicking on the image to the right. LRS UK supplies restaurant-hospitality, opticians, fast food outlets, hospitals and other industries with custom communication solutions. Visit one of our new sites at lrsuk.co.uk. LRS in Dallas TX, is recognised as the worlds leading brand in paging technology. Our online shop is now fully operational but only systems are currently available to buy. Incredible special offers with full 3 year warranty. We also have DEALER pricing with online ordering - ask for details. We're sure you will be impressed.